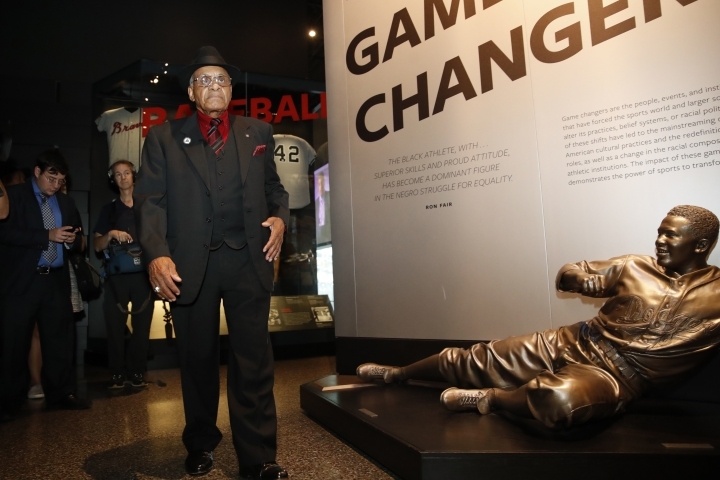 WASHINGTON — Cameras followed Willie O'Ree's every move and flashbulbs popped as the hockey pioneer toured the Smithsonian's Museum of African American History and Culture. Memories came flooding back in a room featuring a picture of one of Robinson's games in Atlanta with so many people packed into the stadium that some were on the field. 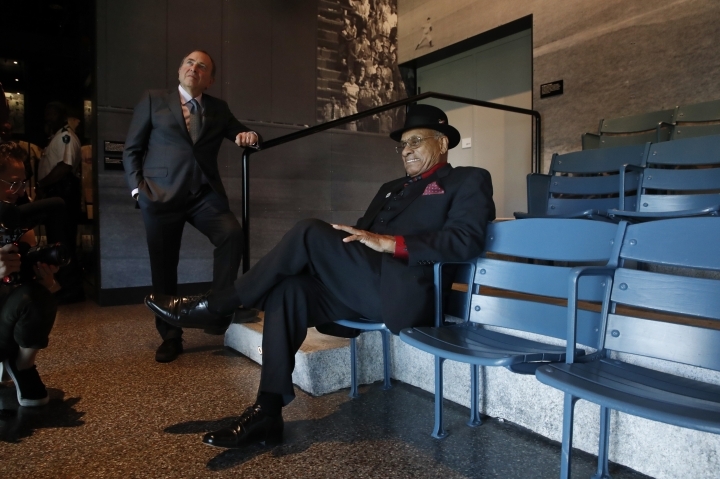 O'Ree sat down in one of the replica seats from Ebbets Field and recalled meeting Robinson in the dugout after a game at age 14 and telling him he played not only baseball but hockey, too. 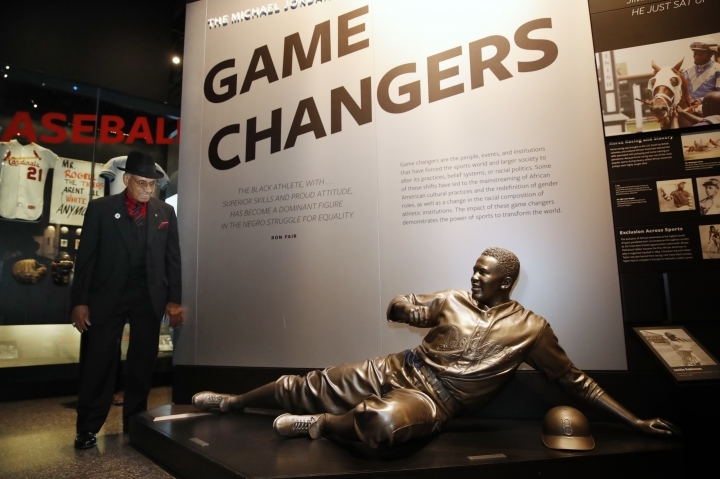 "He remarked that, 'I didn't know that there were any black kids playing hockey,'" O'Ree said. "I said, 'Yeah, there's a few.'" Thirteen years later when O'Ree was playing professional hockey in Los Angeles, a coach introduced him to Robinson. Or, rather, re-introduced him. "Mr. Robinson turned around and said, 'Willie O'Ree, aren't you the young fella I met in Brooklyn?'" O'Ree said. "So he remembered me from 1949 to 1962 and that made a big impact on me."